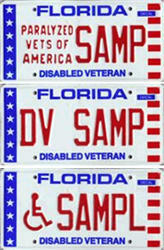 Display the Disabled Veteran (DV) license plate issued from any state government. The DV license plate must be on the car parked in a Port Everglades lot or garage at the time of your cruise. Florida DV license plates are issued under Florida Statute 320.084 (See example below). Parking agents will not waive parking fees for any other reason than those listed above. To learn more about parking choices, fees and regulations at Port Everglades, click here. 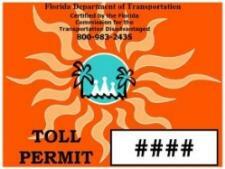 For more information on disabled toll permits or to obtain a Florida Turnpike toll exemption sticker, visit the Florida Commission on the Transportation Disadvantaged website at dot.state.fl.us/ctd.